Occidentalism » Blog Archive » Is Korean Media Misquoting Daniel Barenblatt? Is Korean Media Misquoting Daniel Barenblatt? Daniel Barenblatt, who is the author of “A Plague Upon Humanity,” has recently made Korean news with his comments at a press conference held in the Boston suburbs by Yoko Kawashima Watkins. Ms. Watkins is the author of an autobiographical novel entitled, “So Far from the Bamboo Grove,” which is being called a “distortion of history” by many Koreans and Korean-Americans. I do NOT think that Ms. Watkins’ book So Far from the Bamboo Grove is “a lie from the front cover to the last sentence.” What I believe, and what I told the reporter, was the same that I tell everyone else, that there are some serious factual errors in the book, in the book’s first sentence for example, and that the book’s narrative, overall, unfortunately reverses the roles of oppressed and oppressor in the Asian historical period of the time, giving the readers, who are children and teens, the false general impression that Japanese colonists were the persecuted victims of the colonized Koreans, rather than the reality of the historical situation from 1910 to August 1945. As such it should not be taught in the classroom, nor recommended for school libraries. Nor should it be presented as autobiographical historical fiction. IT WAS ALMOST MIDNIGHT ON JULY 29, 1945, when my mother, my elder sister Ko, and I, carrying as many of our belongings as we could on our backs, fled our home in its bamboo grove, our friends, and our town, Nanam, in northern Korea, forever. I am not sure what Mr. Barenblatt considers to be the “serious factual error” in that sentence, but if he is referring to the “bamboo grove,” which some Koreans have claimed did not exist in North Korea, then maybe he should also contact the maker of this chart and ask him to correct his “serious factual error.” Besides, even if there were no bamboo groves in North Korea, would that really be considered a “serious factual error”? Such a statement only reinforces my suspicion that Mr. Barenblatt is prone to exaggeration. An American wearing a black T-shirt with the name “Nanjing” (南京) written on it tenaciously bombarded 73-year-old Yoko Kawashima Watkins, the author of the book, with questions. Nanjing was the Chinese city where Imperial Japan brutally murdered 300,000 Chinese during the “Nanjing Massacre.” Wearing clothes referring to the Nanjing Massacre, a symbol of Imperial Japan’s brutality, the man flustered Yoko with a barrage of questions. The man was Daniel Barenblatt, one of the world’s leading researchers on Japan’s Military “Unit 731,” which was notorious for its human experiments. Barenblatt was completely different from the majority of Americans who attended the press conference to support Yoko because his was the only voice loudly proclaiming that Yoko’s novel ran counter to the facts. He compared “So Far from the Bamboo Grove” to Christopher Columbus’ “So Far from Genoa” and pointed out the problems with the book, piece by piece. He said that he became involved in the “So Far from the Bamboo Grove” controversy because he was an expert on Unit 731. When suspicions surfaced that Yoko’s father may have been a high-ranking official of Unit 731, Korean parents sought him out to confirm if it were true or not. Currently, Barenblatt is tenaciously trying to determine if Yoko’s father was a leading member of Unit 731. Barenblatt, who has studied at Harvard and UCLA, has untiringly written articles for major US newspapers, including the Washington Post, exposing Japan’s biological and chemical weapons development plans during World War II. UPDATE: Again, Mr. Barenblatt claims he was misquoted, this time in the above Joongang Ilbo article. You can read his denial here. By the way, the Joongang Ilbo did not misspell “impertinent.” That was my “serious factual error,” which I have corrected in my translation. The following is a link to a KBS News report of the press conference in the Boston area. You should give it a look because, as we all know, “history is sacred,” according to one of the grandstanders attending the press conference. Personally, I think this is a case of Koreans, Korean-Americans, and their lackeys trying to deny history. And here is a link to a SBS video, where the same grandstanding woman in the KBS News video is talking about the Nanjing Massacre and Unit 731. Finally, the following is a link to an MBC News video, in which Ms. Watkins seems to lose her temper a little bit, and in which a man who reminds me of Mr. Barenblatt makes a brief appearance. kjeff, when you want to quote someone, highlight the text that you want to quote, then press the b-quote button. Chul so, thanks, I am afraid you miss the point. He commented on this blog for himself and for Ms. Yoko Kawashima Watkins, the Korean people, the Japanese people, and anyone else involved, and to the reading public in general. He came here not for us. Faced with the allegation, he seems to hesitant. He is not protesting against the media. He is not updating. I asked money thing to confirm if how much he is involved with Korean ultra-nationalist cruel project to degrade Ms Watkins and her books for the reason irrelevant to her book. If he received more than what is appropriate for the return to his few opinions, i guess that reinforce the belief he was positively engaged in the project unless otherwise the convincing argument are presented. It is interesting some Koreans like chul_soo and Kjeff(I guess you are, but sorry if I am mistaken) are trying to defend for some reason Daniel Barenblatt , who worked , in one way or another, with Korean ultra-nationalists . Anyway, I am sure there is more on Mr. Barenblatt’s plate than just answering questions at Occidentalism, so let’s give him time to forumlate a good answer. That is a big hole he has to dig himself out of. You are right. *IF* he is trying to get translations on his own and to get Yonhap to correct his comments before he’s going to answer Occidentalism, I guess that’s understandable. And no, he doesn’t have to answer anything from me since I just want him to answer questions posted by ponta. But he must also know that if he expects people to wait, he should at least write up tentative planned actions and/or schedule. Most folks will just write him off, chuck him in the ignore files and move on to other matters of interest. It’s his reputation that’s on the line. Yes it is. 2 days ago a search on google for “Daniel Barrenblatt” showed that Occidentalisms story about Daniel Barrenblatt was on the 3rd page. Yesterday a search on google for “Daniel Barrenblatt” showed that Occidentalisms story about Daniel Barrenblatt was on the 2nd page. Today it is on the first page of a google search for his name. In a few more days it will be the first result for a google search on his name. So yes, he does have a strong interest in clearing this up. Whoa googling with both Daniel Barenblatt and Dan Barenblatt gives me links to this page as the first result. His confession of wearing a shirt with “Nanging” logo is already such a turn-off, but his reputation as a modern history researcher would be worse if he won’t give us answers and updates. “What is the proper action Ponta? Bend over, and take it? Don’t misquote me. You mistook me for someody else. It is ironical because the post is about Korean newspaper misquoting Daniel Barenblatt. First, in that case, you would admit she is not making “factual error”. Second, it is not error . People say “they are told p if he is not certain p is true or not. If he is sure p is false, he might say “they are mistakenly told” but that depends on what is his focus. I didn’t say “I was mistakenly told …”, it does not follow I was making an error. Is ultra naturalistic too much? I thought the news agency which tried to degrade the book and an old innocent lady by insinuating his father as a criminal without basis for fake patriotism was ultra-nationalistic. What do you think the best word was? English is my second language. My apology, you all sound the same. ㅋㅋㅋ… Kidding aside. It was my mistake, I apologize. If two days ago you had been told that kjeff had been born in Korea, and yesterday, you were told that I was not born in Korea. And if today, you are telling a third person, “kjeff was born in Korea,” you are making a “factual error.” And in Ms. Watkins case, yesterday was the decades she had to do some research. Anyhow, I have no beef with Ms. Watkins or her book. And, I think all the talk about the historical inaccuracies(true or not), is missing the point. That it’s taught in many public school, without proper context, to such young minds is what bothers me. (And yes, I’ve seen some lesson plans). As you may have noticed English is my second language too. The ‘language’ was not the point that I was trying to make there, and I appreciate that you heed to my suggestion in using the word ultra-nationalistic instead of plain nationalistic. I guess I wasn’t being very clear, and I’ll to try to explain it again with an example this time. Fox News Channel(I don’t know if you are familiar with it) is a conservative media. Days-in days-out, it spins conservative agenda through its commentator without pretense. (Check out Bill O’Reilly in You Tube) What we have here are two articles, one of each(online edition moreover), so it’s too far of a stretch to conclude that the newspaper and the news agency, in the case of YonHap, are ultra-nationalistic. Korean government produced the proof of ‘Comfort woman’. However, it turned out to be the evidence of Korean fabrication. If you can read Chinese character, you shall understand it is the advertisement of prostitutes. If two days ago you had been told that kjeff had been born in Korea, and yesterday, you were told that I was not born in Korea. And if today, you are telling a third person, “kjeff was born in Korea,” you are making a “factual error. first I am not certain who is telling the truth, second, even if I knew that you were in fact not born in Korea, it is not nonetheless false that I was told that you were born in Korea. is what she was told. The editor of the book might want to mention the historical fact as notes, though. I agree. And in my opinion, as a evaluator of the book in question, Korean ultra-nationalist’s (and possibly Daniel Barenblatt’s) relating to his father’s occupation was irrelevant, nasty, insane. That is debatable, as some people point out teachers usually put it in the proper context, and the some historical novel is actually taught as seouldout pointed out. If Yoko’s book is problematic, any novel which is related to history is problematic. That is all right, if they want to argue that all such books should not be taught. Daniel Barenblatt’s further clarification, from his actions at the conference, his utterances on the newspaper article, his statements on this blog , it is not unreasonable at all to say he jointly attempted it and he did played an very important role.) That is the main issue here from my perspective. Yes, that you had been told that I had been born in Korea is not false. But, please what I wrote again. Assuming that the information that you heard yesterday is ‘true’, it is the ‘information’ that you communicate to a third party, i.e. kjeff was born in Korea, is what is wrong, and not that you had been told otherwise. Again, I’m not claiming, as I think Mr. Barenblatt is, that it is ‘serious’ factual error. It’s nonetheless an error. But really it’s just a date, and yet I still insist to you Ponta that the technical aspect of ‘error vs not’, I think I’m right. This book is a autobiographical novel, in other words…FICTION based on some life experiences of the author. Hence, it is probable that there is some serious falsehoods to it otherwise it would be a autobiography or even an memoir. Autobiographical NOVELS are like hollywood movies. There is no neutrality and the author can add/take out from the story as she wishes. Often times, enemies are portrayed as extra evil and loathsome just for the story’s sake or to fit his/her own agenda (not that I’m saying that Watkins has a agenda). Hence, I can see how there could be some problems when this fictional book is taught to young children without the proper context. THose of you educated in Japan or Asia probably don’t understand because you were probably taught Asian hitory. However, American history hardly ever touches Asian history (only exceptions are: Pearl Harbor, Japanese internment camps, and the occasional China open door policy). The young are rarely taught about the Nanjing Massacre or the conditions of Japanese occupation in Korea and most of the time I think the teachers probably know little or nothing as well. Hence, I can see how there could be some problems when this fictional book is taught to young children without the proper context. Well, writing off autobiographical novel as fiction and therefore discounting everything as made up is pushing it, IMO. Even in autobiography, you’re going to have the author’s point of view and it will not be neutral. In any case, By context if you mean that Korean people had deep anger towards colonizing Japan and therefore could be understood that some may have taken violent actions toward the evacuating Japanese, then I agree. If you mean that Koreans were the victims and such things as Yoko writes could not possibly happen, then I disagree. The young are rarely taught about the Nanjing Massacre or the conditions of Japanese occupation in Korea and most of the time I think the teachers probably know little or nothing as well. Well for one thing, Nanjing Incident is still debated in terms of scale by the historians; even Chinese professors have recently expressed opinions that the death numbers were greatly exaggerated due to propaganda involved. Was it at the level of massacre or something that was seen during those days in war, the consensus is not yet made. As for myself, I’d like to think that any sane person would realize that there’s something fishy when 300,000 are reportedly killed in a city estimated at 200,000. The ethnic Korean woman complaining about Mrs Watkins books says 600,000 people were killed in Nanking. Not a reasonable person at all. What do you think is the correct number? No idea, but it sure is not 3 times the number of people in the city. The official number of the Chinese government is 300,000.The Taiwanese government says 100,000. The estimation of most of the scholars concerning the nanking atrocities seems to vary from 40,000 to 100,000+plus. There is a very good review article about the present state of Nanking atrocities studies by David Askew(Ritsumeikan University). It is an academic article thus not easy to read but nonetheless very interesting. Yes, but a lie repeted 1000 times becomes the truth to many Koreans. I have read online many Korean claim that millions of Koreans were raped and murdered by the Japanese. I guess in 20 years people will learn from Korean netizens that billions of Koreans were exterminated by the Japanese. I have read a book about the Nanjing Massacare. It said that ordinary Chinese people were evacuated from the city centre before the Japanese army arrived, so ten thousands of ordinary people couldn’t be killed. Of course there were killings because it was war, but the deads were almost Chinese soldiers, and the number of the dead bodies was maybe 2000 or 3000. The number of the massacare victims were exaggerated by the Nanging government (国民党), and the photos which have been said as the massacare victims were not taken in Nanjing. So there is no photos, no witnesses. The only western person who reported the massacare has been identified later as a secret co-operator of the Nanjing government. Japanese soldiers didn’t know about the massacare, they became to know about it after the war. So how can you say the number of victims in he Nanjing massacare is accurate? I realized that Mr. Barenblatt just updated his website a bit. As usual, when I try to check his site.. Seriously, this guy needs to get himself a page on a webhost that can handle more than 5 visitors a day before crapping-out on everyone! You didn’t manage to copy what he posted, did you? I want Mr Daniel Barenblatt to keep his promise that he would my question. 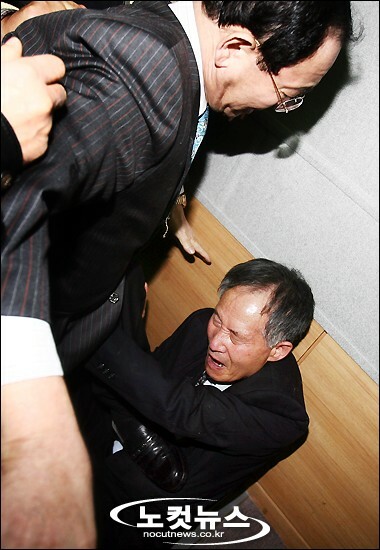 to fulfill his demand for an immediate retraction and correction from whoever is responsible and for apology to himself, to Ms. Yoko Kawashima Watkins, to the Korean people, the Japanese people, and anyone else involved, and to the reading public in general. • noun 1 a mistake. 2 the state of being wrong in conduct or judgement. 3 technical a measure of the estimated difference between the observed or calculated value of a quantity and its true value. Now suppose Kjeff told me that that th earth is flat. Then I was told by Kjeff that the earth was flat. Am I making a mistake in stating that. . No, Kjeff is making a mistake;it is just that Kjeff has the wrong blief the earth is flat. Am I making a wrong judgement. No, Kjeff is making a wrong judgement. Hence I am not making error. Kjeff is making a error. But I am glad you agreed Mr Daniel Barenblatt was making an error in telling that Ms Kawashima was making “serious’ factual error. I copy new Mr.Barenblatt’s Blog Entry. ANOTHER Korean language media outlet, JoongAng Ilbo, has also misquoted me, fabricated quotes and misrepresented my presence at the Thursday, Feb. 15, suburban Boston press conference on the book So Far From the Bamboo Grove. I shall refute and correct it point by point here, using the English translation given in a front page piece at http://www.occidentalism.org, because it is the only full English translation that has yet been available to me. This is not an accurate description. The whole of what I asked was: What was the name of the town in Korea you lived in (its Japanese name), and what was the name of the town next door? Ms. Watkins answered with the correct names, and then I asked: What was the exact job title at the railway and place of residence of your father? She began to answer and then the moderator of the conference from the sidelines cut in and said I had already asked two questions and that was all, next person step up to the mic etc. I replied, “but she didn’t answer the question.” The moderator said to put it in writing; she would anwer it later. I was a bit annoyed, and said ” really look forward to that.” Then I went back into the audience. There wasn’t “tenacious bombarding,” it was me asking very short, simple, factual questions and then me getting told to step aside before Yoko could fully answer. This is misleading, because I wasn’t vocally making a public speech at any time, and my questions/public statements were limited to the Q & A described above. Not what one would call “loud proclamations.” I had a few private conversations with people there and handed a written statement to some attendees/media, detailing my take on the situation –the book’s factual errors and reversal of historical victims/victimizers roles, and why it should therefore have no place in the classroom. I was filmed by some Korean television, not sure which one(s), and told them that there were still some unresolved questions as to Yoko’s father’s identity (based upon research that some Koreans had been doing). I did not compare this verbally, this was an analogy I came up with, stated in the written statement that I gave to some media people there: in reality there is no such book as So Far From Genoa. I made it up to illustrate the point that it would be unacceptable for children to be taught from an historical memoir of Columbus that had him landing in Massachusetts in 1465 etc., and other factual errors, just as the “semi-autobigraphical” book Bamboo Grove has children reading that the Russians landed in Korea on July 29, 1945 or that there existed a “Korean Communist Army” mercilessly hunting down Japanese civilians in the narrative’s August 1945 time frame of the Kawashima family’s escape back to Japan, to cite a couple of examples. Again, really off. See my above comment explaining how I made up this non-existent book So Far From Genoa as kind of comedic foil to clarify the complaints and controversy regarding So Far From the Bamboo Grove. I suspect the main culprit here may be the English-Korean language barrier and language misunderstanding/mistranslation from my written words to the Korean reporter/translator/editor. I did not say that, at least in those words, to anyone, so it is a misquote, but I do agree with the sentiment. I didn’t even say this aloud, much less “loudly proclaim” it. However, again, I do agree with the sentiment. This is somewhat misleading. It makes it seem as if I am the main or spearheading leader of a project to determine the identity of Yoko’s father. But such an active role is taken not by me but by Asian researchers whose interest has been struck by allegations that seem to have emerged in South Korea. At most all I can do is assess and evaluate this growing, Asian story from my relative position on the sidelines in North America. I did not present “big sensation” producing “concrete evidence.” I’m not sure as to what JoongAng Ilbo may be referring with that statement. Another made-up quotation: I did not say the above quote; not any part of it. As to whether the Unit 731 suspicions are true, I don’t know at this point. There are some odd omissions and apparent contradictions that have come up as to her father’s identity, and they do warrant some further research if only to clear the air. But one should take a cautious and circumspect approach with such allegations. The investigations that Asians have been doing in Asia may turn up some solid proof either way to establish whethere he was or was not involved in Unit 731 or other war crimes. I don’t think that one can say definitively at this time, based on what has been publicly presented. JoongAng Ilbo should, as soon as possible, make the needed corrections to this piece, as I have identified them here, and inform their readers as what I actually said, or did not say, at the Feb. 15 press conference. Because the connection of his site was bad, I copied. Please delete it if there is a problem. However, I was surprised because he did not read Japanese. How did he verify Japanese material of Unit 731? I was filmed by some Korean television, not sure which one(s), and told them that there were still some unresolved questions as to Yoko’s father’s identity (based upon research that some Koreans had been doing). I wonder if he directly told them that he was making his statement based on what some Koreans had told him, rather than his own research? Although, the fact that he apparently cannot read Japanese or Korean really calls into question his ability to research any of the original source material anyway. The paragraph under scrutiny also misleads the reader by stating that “Unit 731 also is believed to have performed vivisections and frozen prisoners to death in endurance tests,” using the mitigating phrase “believed to have.” In fact, there is absolutely no question among historians and scientists that vivisections were performed commonly, and that prisoners were frozen, and eventually killed, in frostbite experiments (and not “endurance tests”). Absolutely no question among historians and scientists! In my understanding, the reality of Unit 731 has been very controversial. I have not heard any news of definitive sources (that would clarify the details of their activities and terminate the contoversity) discovered and examined. Ironically, the lethal experiments of Hirohito’s military doctors on U.S. prisoners-of-war at the Shinagawa camp were described in shocking detail by the New York Times of September 1945, in a lengthy front-page article by Robert Trumbull (and quoted in my book, A Plague Upon Humanity). I guess this is the kind of source that he considers primary (if he ever distinguishes primary and secondary sources). Perhaps that is why he does not need to read Japanese or Chinese to do his research on Unit 731. I don’t think he knows reasearch or has been trained in academic writing (or thinking). The only thing he knows is that his topic sells. That he can not read Korean and Japanese was fatal. As for Nanjing massacre, as Askew’s article above made it clear, it is in Japanese that majority of scientific research has been done. As for Bix, I respect his work, but on the cover of the book is written. “controversial and important….Washington Post Book world. Sure it is important book, but when dealing with controversial book, I guess you need further back up, in particular, when he was talking about the evaluation of Hirohito. The poor bugger. He’s a writer for the masses, not a debater. He’s in way over his head here on occidentalism, when faced with questions from people who actually have done a little research. btw – you can have a read of his book Plague Upon Humanity on Google Books. Mr Barenblatt cannot understand Chinese, Japanese, or Korean? How can he hope to “expose” such a controversial subject as alleged war crimes without knowing at least one of the languages? Mr Barenblatt cannot understand Chinese, Japanese, or Korean? Ms. Iris Chang could not understand Chinese perfectly, either. She wrote the book with the help of Chinese government like Mr. Barenblatt. In short, it was a Chinese propaganda. There was also a Japanese journalist who wrote the wrong history about Nanjing with the help of Chinese government. He can not speak Chinese of course. If you like to know well about propaganda of China, I recommend to read the book “Mao The unknown story” written by Jung Chang. This book is great because she can understand Chinese and English, and co-author, her husband understands English and Russian. Chinese history with many evidences from Russia is very interesting. After the civil war of China, all of the western people were kicked out from China. All, except Russians. We have read so many fabricated story about China written by Chinese. During the period from 1949 to 1976, so many Chinese were killed by Chinse communists.